"Inspector - the best tool on security of your application"
I like how it's easy to set up and there is no need to educate a person to set Amazon Inspector up because it does not require much of the instructions. The documentation is very extensive and there is no additional purpose to look for any other alternatives. Amazon Inspector just does its job the way it is supposed to! There are possible only two things that I can find that leave me little bit concerned about the service. Firstly, first thing which I am not particularly a fan of is lack of some of the custom protection. I would like to see more on that. Secondly, billing for Amazon Inspector is a little bit tricky when you set it up to work with other services. There are other alternatives to Amazon Inspector. People tend to use Amazon Shield or Amazon WAF for the same purpose as Amazon Inspector. But I definitely suggest to get to know your use cases per each of Amazon services to make a conscious choice regarding any protection. There is definitely a great value in combining using services. For any of DDoS protection I recommend using Amazon Shield and Amazon WAF. For setting up your architecture right, Amazon Inspector is a great choice along with Amazon Trusted Advisor. Trying to improve the security and compliance of applications deployed in the cloud. Amazon Inspector automatically assesses applications for vulnerabilities or deviations from best practices. "very good service inspector for security purpose"
amazon inspector is very good and reliable service we can use for security purpose in our services, application and in web services. Its an automated and managed service by aws. Very useful service as most of the people face security issue so can be fixed by using this service without using human resources. main dislike we can say only cost and agent issue. Its solving main problem people face today that is security, which is managed by amazon inspector by set of rule in this service. Auto managed service having set of rule which we attached with our instance application and web which autoscale the security and fix them. very useful and reliable service launched by aws, everyone need to try this to improve their services as well. My coworker loves that we are to use people to "pretend" to develop co. website and store doc., but honestly was extra costly that way, so showing that we had I had resources that was done coworkers, no two ways around it. The world watched uncover extreme determination of economic dollars hopefully change security laws. I don't like anything about having to install exe. to my desktop because of "breaching" as I install and reinstall just to get it right - my excuse. We use for our inspecting which I use as an excuse. Feel bad about it now, but worked for over 20 years. This software help users to check the level of safety of the product that we developp.The power of the product. It's easy to know what's wrong. I will use it for my personnal use. Nothing wrong with it. Every things are easy to do. The main bad aspect of this product is the interface wich doesn't change during I used it. The service of this software do not have to change. An other interface may probably improve sending or renew the subscription. A simple way to check safety of the product. Our data bases for our websites are now safer. We are sure that our services will not be hacked or bybass our systeme. "Amazon inspector is security service "
Amazone inspector is very good managed and auto service provided by amazon to check security system of all amazon services like security gp. instances and other services as well. Amazon inspector is automatically checked all the things in rules and provides the report to administrator. It automatically have security checks. "Inspector is as good start for vulnerability scanning, butr far from perfect"
Would be nice to have additional filters, like"only scan instances which have been up more than n minutes"
AI simply does its task the method it is expected to. Extremely beneficial service as the majority of individuals deal with security problem so can be repaired by utilizing this service without utilizing personnels. One can utilize AI to handle their security systems. The absence of a few of the custom-made defense and that is a bit difficult when you set it approximately deal with other services. AI immediately evaluates applications for vulnerabilities or variances from finest practices. "amazon inspector - security service of aws"
amazon inspector is widely used by big clients and it helps to make secure our system services and aws services or deployed applications on aws. It is an automated service which is provided by aws and very useful service. very useful service for security purpose and very flexible and reliable to use to check servers and services security. 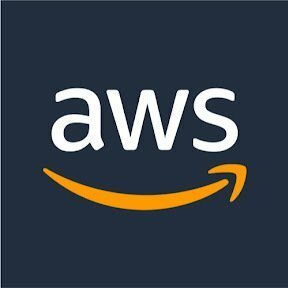 I would like to recommend all aws users to use this. it is very beneficial for security and check the vulnerability issues and provide the list of issue to fix them also very useful for web providers. I love how reliable it is..It's great..I love the fact how awesome it is..I can rely on Amazon inspector when needed.It has an awesome layout as well. The business benefits are everything.They are amazing! you can define a collection of AWS resources that you want to include in an assessment target. Sometimes it has it's perks but other times it glitches. It is cheaper to use than most inspection apps. "Use it for security and company compliance "
For me was a way different approach and all new concept on security and company compliance. Using new tools and choices are on how to better stay sound compliance. It’s all new way of thinking and that takes time to change in your mind. Make sure company stay safe from any cyber threats. My team and I love how quickly and easy it is to assess the security of the AWS resources. Nothing is bad about this software. It’s easy and the price is good! It’s quicker and easier than ever to keep our AWS secure and safe. The benefits of that are invaluable! Specific functionality for the AWS environment. Compared to other scanners, it targets the environment and is FedRAMP compliant. I have not used the tool, only worked to ensure it's compliant with FedRAMP requirements. FedRAMP compliance with targeted scanning. Helps to identify any security risks, it has caught several which helps me. "Amazon Inspector is very easy to implement!" "useful, but not very accurate "
* We monitor all Amazon Inspector reviews to prevent fraudulent reviews and keep review quality high. We do not post reviews by company employees or direct competitors. Validated reviews require the user to submit a screenshot of the product containing their user ID, in order to verify a user is an actual user of the product. Hi there! Are you looking to implement a solution like Amazon Inspector?